How Is Muay Thai Different From Boxing And Other Sports? If you are a big fan of Muay Thai and you love practicing this sport, you probably already own quality Muay Thai shin guards. Those who are trying to find good gloves that can be used when fighting their next opponent should feel free to take a look at this page here as it is packed with models that you might like. 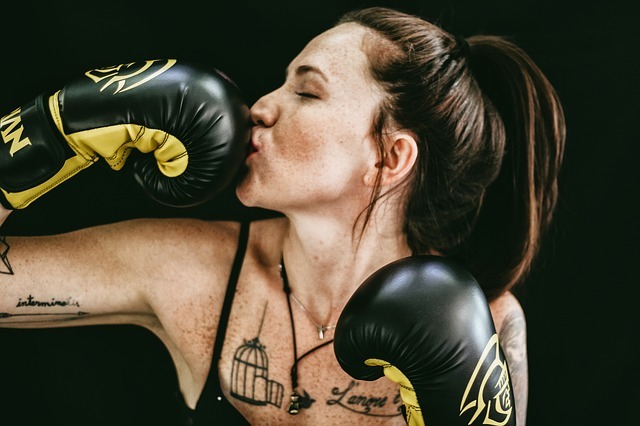 If you are a novice, there is a high chance that you’ve asked yourself what the difference between this kind of boxing and other similar sports is. To help we have prepared this article that will surely bring the necessary clarifications. Ever since the dawn of time people had to fight in order to survive and using fists was one of the preferred ways to do so. Boxing was first introduced as a sport in Ancient Greece around 688 B.C. Muay Thai was also created as a form of fighting for survival as it was used by the Siamese army in warfare. However, this type of martial arts has only gained worldwide popularity later on, after WWII. One main difference between these two forms of combat sports is related to the way in which the fighters position their bodies. Boxers tend to keep their bodies sideways to their opponents so that the target area is reduced. This defense strategy is not utilized by Muay Thai fighters because such a position would leave one’s front leg exposed to kicks. Therefore, the Muay Thai stance is more open. The one’s hips are squared toward the opponent so that the fighter is able to kick with both legs when necessary. Also, this open position enables the fighter to shift his/her weight from one leg to another for defensive or offensive purposes. While boxers keep a low and tight guard by positioning their arms close to the body, Muay Thai practitioners have a higher, more extended guards so that they can shield their heads in case of a kick. Striking is also different as boxing only allows for the fighters to throw punches above the belt. Muay Thai, or the “art of 8 limbs” enables fighters to strike using their fists, knees, legs, and elbows. Consequently, there is a wider range of attack strategies one can utilize. While in Muay Thai clinching is an integral part of the fight, in boxing, many clinches are immediately broken up by the intervention of the referee. When compared to MMA, Muay Thai is different as it lacks grappling, striking on the ground and submissions. Also, because Thai fighters do not have to worry about being taken down by their adversaries, they do not have to pay so much attention to their stance. Because of this, Thai practitioners generally have a straighter stance than MMA ones. Another notable distinction is that Muay fighters do not jump in and out of the fight as they do not have to attack and defend themselves at the same time. They will rarely back away, and, instead, they trade punches and strikes. So, Muay fighters do not move around as much during a match. The long-range weapon of Muay Thai is the kick. Differently from MMA fighters, Thai fighters are taught to kick fast and to hit the hard bone of the adversary’s shin. In the case of MMA, the practitioner has much more freedom as he/she can take down one’s opponent in numerous ways. Plus, these sports use a different type of equipment. Because there are numerous Thai fighters who have transitioned over to kickboxing, many people consider that the two sports are very similar. Still, there are a couple of aspects that differentiate between the two. In Thai, the number of punches one throws does not influence the scoring system. In fact, punches are only thrown to set up kicks. In the case of kickboxing, punches are used more as they mean the same as a kick or a knee when it comes to the final score. Because of this, punches are thrown more often in kickboxing. Although both Muay Thai and kickboxing allow for clinching, there are some differences. Under K1 rules, one is only allowed to clinch for a short time as long as the clinching is broken after a strike. Thai fighters rely on clinching and they are also able to do dumps. Another crucial difference is that of pace. While kickboxing fights last for approximately three rounds, most Muay Thai fights last for five rounds. Because in kickboxing every single round matters, the pace of the fight is faster. In the case of traditional Muay Thai fights, the first two rounds of the match do not count. They are generally referred to as the “feeling out” process. The fighters normally engage seriously in the last round. In the modern version of Muay Thai, that also lasts for there rounds, things are a bit different. Yet, the first round is still regarded as a “feeling out” round. Because Thai is a form of boxing that has a strong line of tradition, there are a few visible difficulties from other modern similar sports. For example, the fighters have great respect for each other. Also, judges often pay attention to the stature and the effectiveness of the fighter’s kicks. Before the fight, the practitioners wear a prajioud and a mongkol that covers their heads. Plus, they interpret a dance called wai kru ram muay through which shows their respect to their trainers. These traditions are not present in kickboxing. Still, those fighters that have transitioned from Thai to kickboxing sometimes wear a mongkol when walking into the ring. No type of traditional dancing is allowed in kickboxing. Another notable difference is that during Thai fights, traditional music is played in the background. Also, sometimes there are people with microphones that are making comments in regards to what is happening in the ring. As a result, it tends to get somewhat noisy. In contrast, kickboxing matches are quiet. The only exception is the cornering.